Haydn Washington was born in Sydney in 1955, and went to school near his home at Glenaeon, the first Rudolf Steiner school in Australia. He used to walk the bush trails in Scotts Ck and Harold Reid Reserve, and learned to listen to the land. Year 11 and 12 he did at the Australian International Independent School near Macquarie Uni, and went bushwalking with fellow students. One exploration was a 5 day trip of the Colo River in late 1973, before he started uni. So four 18-year olds walked down the Capertee River from Glen Davis to supposedly meet up with the walk leader group walking down Wollemi Ck from Putty. 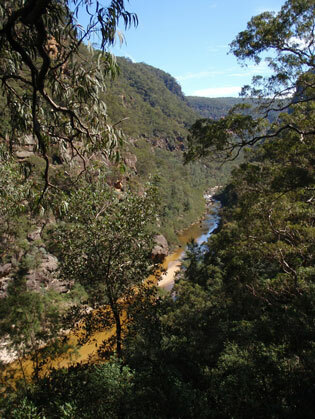 Except they didn’t turn up due to rough terrain, so Haydn and friends continued on down the river to Colo Heights, walking through the largest wilderness in NSW in the wondrous Colo river gorge. I opened my eyes to stare into deep black eyes a few metres away. Fascinated eyes. Eyes of otherness. There was no fear, none at all. We watched in mutual astonishment at the incredibility of our ‘being’. We existed at this moment and time, and the gulf between our histories and separate evolution was gone. Behind us soared steep banks of sand and vertical orange sandstone cliffs. It was just on dawn. There was no thought, nothing but the startling desire to hang on to a connection that we knew could not last - holding on to our harmony for yet another unlikely moment … Someone else in the group moved and turned over, and the Superb Lyrebird ran off up the sand slope to vanish into the bush. The connection across different animal realms was broken - though not quite gone. He was a distant relative of dinosaurs, the largest passerine bird in the world, and the greatest mimic of them all. I was a descendant of small furry mammals like shrews, that eventually stood up and walked as primates - yet for a moment we had been one. He realized that the Lyrebird, the world’s greatest mimic, had no human voice to speak for his home. 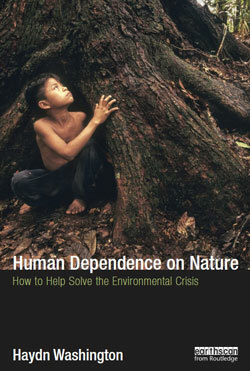 Shortly after, he walked into the Total Environment Centre and asked: ‘What can I do?’. Milo Dunphy replied: ‘We are starting up a Colo Committee tonight’ and so Haydn became the Secretary of the group that night. 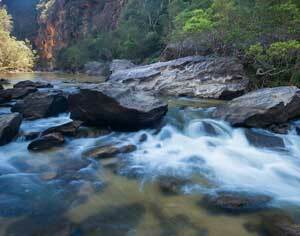 The Colo Committee then went on to run the major campaign from 1974 to 1979 to create Wollemi NP. At the same time as campaigning flat out, Haydn was studying ecology at Macquarie Uni. 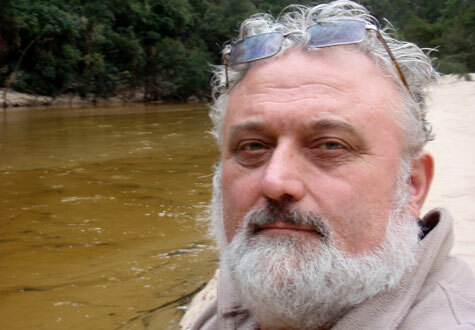 He then went on to work on a study of heavy metal pollution of Australian rivers in CSIRO, on which he did a M.Sc. Haydn and the Colo Committee went on to start the campaign for the Gardens of Stone (indeed the term came from a Spring walk to Pt Cameron in the wildflowers among the pagodas). Haydn also went on to work in the NSW rainforest campaign (especially Banda Banda and Washpool), on the Franklin campaign, and later the Daintree/ Wet Tropics campaign. In 1985 he left CSIRO to travel in Latin America for a year, and it was on Boxing Day in Torres Del Paine national park that ‘the Muse’ came to him and he became a poet, which he later described as the ‘single most glorious feeling in my life’. He has published two books of nature poetry - ‘Gift of the Wild’ and ‘Poems from the Centre of the World’ and is a contributor to two collections of the ‘New Voices’ poetry group started by Dexter Dunphy (Milo’s brother). On his return to Australia, he taught high school science for a year, worked as an environmental consultant, was Director of the Nature Conservation Council of NSW, did botanical consulting, worked as a Director of Sustainability in local government. 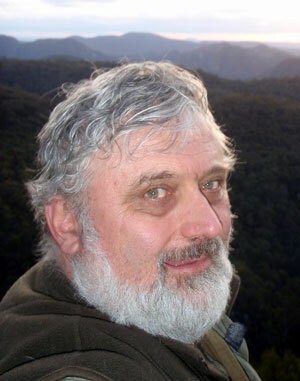 He returned to uni (Western Sydney) to complete a PhD ‘The Wilderness Knot’ on the confusion about what wilderness is. The website Wilderness Truths highlights his conclusions. 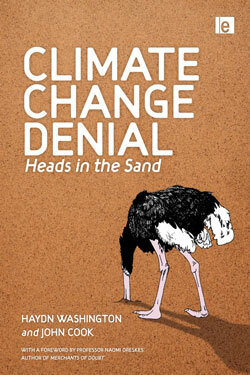 He later taught environmental science for some years at UNSW, where he remains an Adjunct Lecturer. 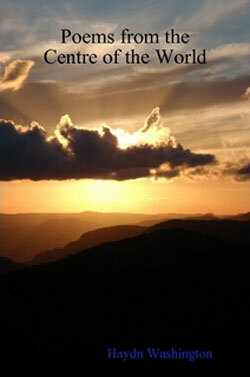 Haydn also writes extensively about ‘ecocentrism’ and is the lead author of the Statement of Commitment to Ecocentrism. 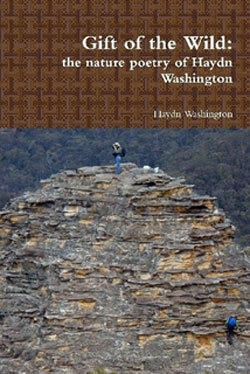 Haydn is also keenly interested in the geodiversity of the Greater Blue Mountains, on which he has published. Haydn now lives on Nullo Mountain on the NW edge of Wollemi NP in a house he built himself. 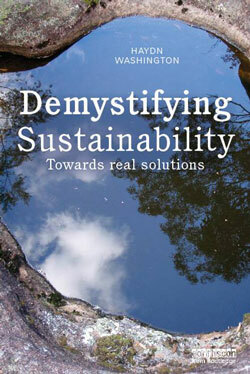 Haydn is currently Co-Director of the NSW Chapter of CASSE which promotes a sustainable steady state economy. Worked in red and black. Could they but hear our song.